The popularity of the Poovar Island Resort Poovar is increasing day by day among travelers. The exotic resort is an idyllic for peaceful and romantic holidays. It is a matter of honor that National Geographic Traveler has regarded the Poovar Island Resort as one of the ten paradises on earth and at the same time this resort appears in the list of 50 'must see' places in the world. 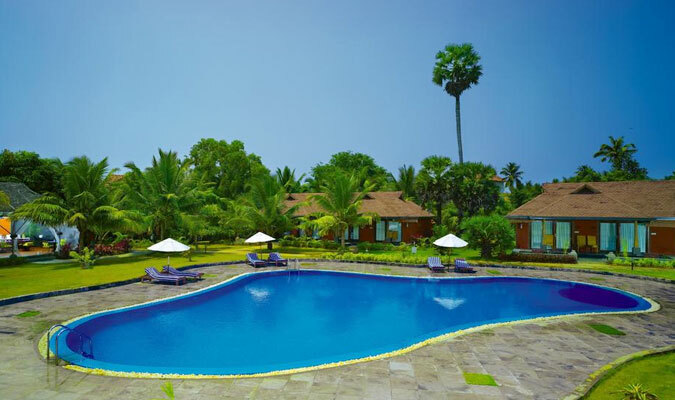 The stunning Poovar Resort is surrounded by clear blue water and marked with extensive green flora and sun-kissed sands. 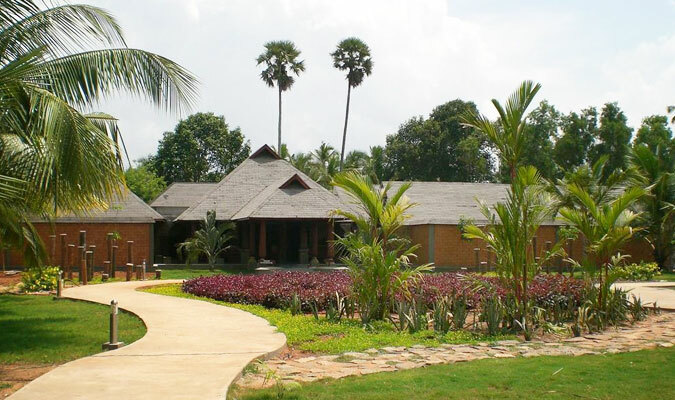 All the 78 luxury cottages in Poovar Island Resort are worth appreciating. Such amazingly diverse luxury in the rooms is hard to find in other resorts. The guests are offered with well furnished cottages which are really peaceful and are decorated in a traditional Kerala style. 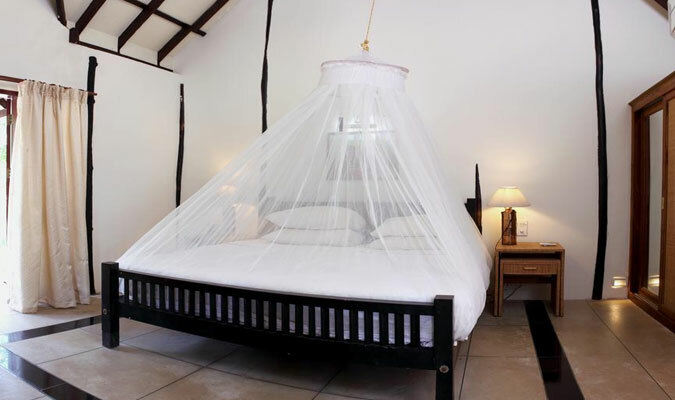 Land cottages: These cottages have the rooms on the ground floor and a private verandah facing the coconut trees. Floating cottages: These cottages have rooms similar to the land cottages but the verandah. The view from these rooms comprises of the picturesque backwaters and the stunning sea. 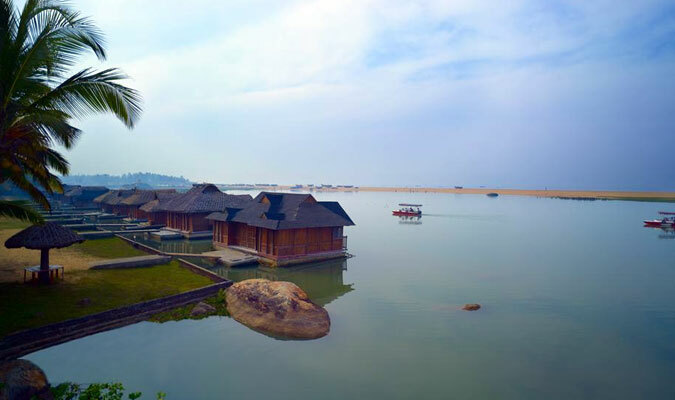 Deluxe floating cottages: These cottages are more luxuriously created with glass walls that offer clear view to the backwaters. They are similar to the suites that have all the amenities at your disposal. Floating Restaurant: A range of sea-food is served in the special floating restaurant and dishes are prepared in style. Tiffins: You can enjoy your food at the multi-cuisine serving Asian, Western and Indian dishes along with traditional Kerala cuisine. Ayurveda Restaurant: For vegetarian folks, the varied vegetarian menu of the restaurant truly complements Ayurvedic treatments. Pool Bar: Enjoy your alcoholic beverages at the sunken Pool Bar.